Eagle International Aircrafts L.L.C. announced that the FAA has finally certified and approved Viper’s SD-4 for U.S. Market. Since this announcement, the Viper SD-4 has begun flights at North Perry Airport, Florida. This amazing Light sports low wing aircraft (LSA) features an all-metal design of the plane, with lower operation and maintenance costs than other similar aircraft. The plane is manufactured in Europe for the past 10 years, and our team is excited to present it to the American market. The robust metal construction guarantees a longer service life and makes the plane safer to operate.The spacious cockpit provides unmatched comfort and the huge canopy allows for a beautiful flying experience. The plane also features the newest breakthroughs in avionics, offers a wide range of utility options, all in a sleek, first-class, package. These features won’t only be enjoyed by seasoned veterans of the sky, but as well as beginners and their instructors. Flight schools and training centres will also find the Viper SD-4 as the best value for their dollar. Excellent and precise manufacturing on CNC machines, using quality materials, quality workmanship with particular emphasis on accuracy, security and great customer value, this all is coming with VIPER SD-4 and is available now in USA. The low fuel consumption (only around 4.5 gallons an hour using car-grade high octane gas or avgas) brings operating costs down, which will bring a smile to the faces of pleasure flyers and enthusiast pilots. The low operating costs also make the SD-4 a perfect choice for businesses seeking a cost effective flight solution. The plane achieves an effective range of around 594 miles on a full tank, which shows the planes potential as a cross-country favourite. The colours and finishes on the plane can be decided by the customer’s wishes. At Eagle International Aircrafts LLC, we seek to provide the best international shipping and distribution service for light sport aircrafts. From our strategically placed location in Fort Lauderdale, we have immediate access to the Americas and the Caribbean. We also seek to spearhead the industry in terms of customerbased design and advances in avionics. 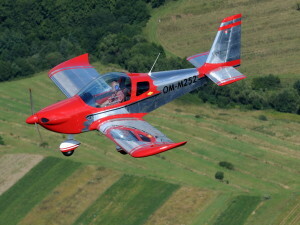 We look to be a trusted source for enthusiasts, leisure pilots, training schools, and air-based companies.